THE HUNDREDS SPRING 2012 COLOR PRODUCT PACKS. 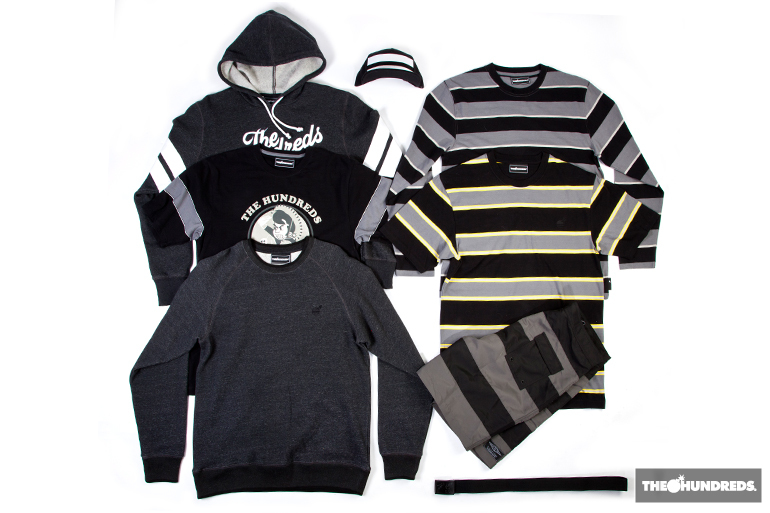 Check out this sneak peek of hand-selected merchandise from our upcoming Spring 2012 line, set to release in stores tomorrow, February 2, 2012. We’ve grouped them together in different colored “packs” for your visual pleasure. First up is the Black Pack, consisting of: the Rocky Crewneck, the Sequoia Pullover, the Lap Hat, the Twerk Belt, the Bull 2 Boardshort, the Isle Tee, the Congaree LS, and the Cascade Tee. Next is the Red Pack, which consists of the following products: the Sequoia Pullover, the Rocky Crewneck, the Cascades Tee, the Chickasaw Tank, the Lap Hat, the Physical Socks, and the Twerk Belt. 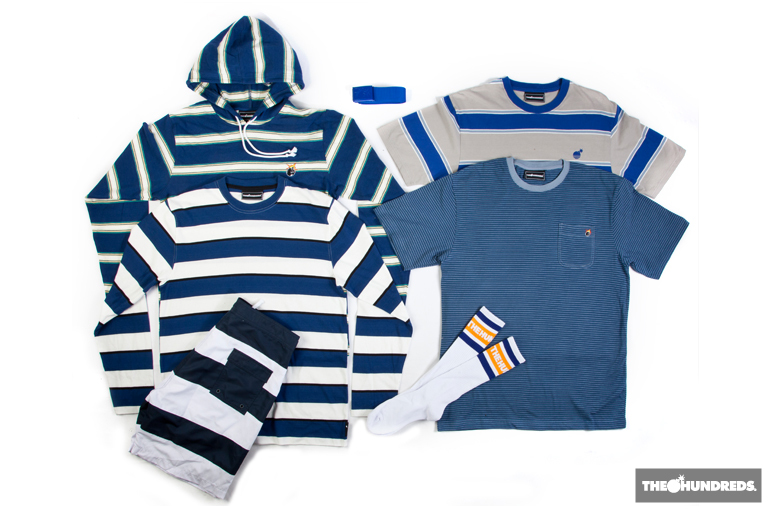 Last but not least is the Blue Pack, featuring: the Twerk Belt, the Bull 2 Boardshort, the Isle Tee, the Congaree LS, the Katmai LS Hooded Tee, the Physical Socks, and the Kenai Tee.